Did you know that Native Americans and Alaska Natives make up only two percent of the total United States population today? On August 3, 1990, President George H. W. Bush recognized the month of November as Native American Heritage Month (NAHM) to recognize the people, culture, traditions, crafts and music that existed in the United States before it became what we know today. 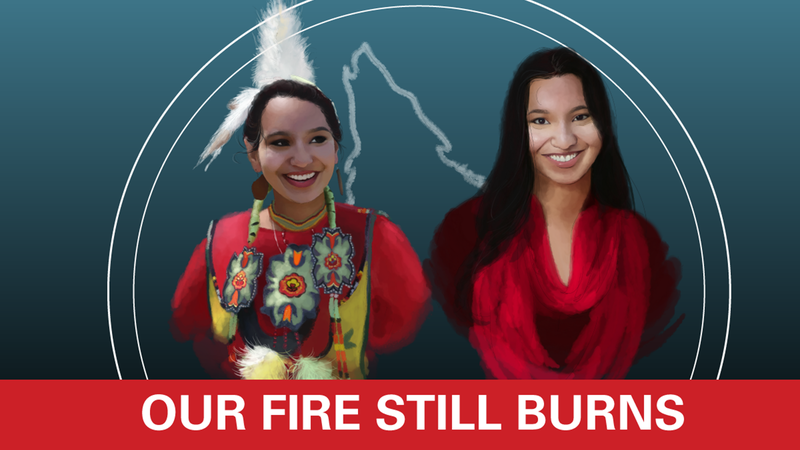 The theme for this year’s month is “Our Fire Still Burns.” The fire-burning analogy demonstrates the strength, resiliency and integrity of Native American people. The theme dispels the myth that Native people have disappeared from the American radius; they are still fighting to reclaim their land even today. Join us as we kick off Native American Heritage month on Monday, November 5, 2018 at 11:00 a.m. in Talley Student Union with a special performance from Miskwa Waya, NC State’s Native drum group, at 12:00 noon. Multicultural Student Affairs will host writer, spoken-word artist, singer/songwriter and motivational speaker Tanaya Winder on November 28, 2018 at 5:30 p.m. in Talley Student Union, Room 4140 for “Remember Her: We are Still Singing.” This talk will focus on how stories, songs and ceremonies can serve as seeds to create the food that nurtures and heals the flooding of our internal heartscapes. Poetry and performance will aid the exploration of how the art of remembering can allow us to re-member – put ourselves back together after rupture – and hold our hearts together throughout our journeys on this earth. The month will feature a beading workshop on November 14, Annual Culture Night on November 8, Pulse of the Pack on November 15, Southeastern Native Food Tasting in Clark Dining Hall on November 30, and many more events. For more additional dates, times, event descriptions and locations, please visit go.ncsu.edu/NAHM. April Hammonds is assistant director for intercultural initiatives in Multicultural Student Affairs.